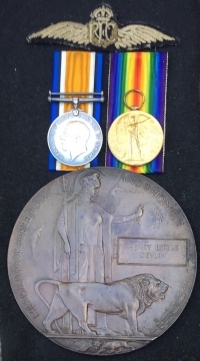 ROYAL FLYING CORPS "AIR CASUALTY" PAIR & PLAQUE. Lt HENRY LITTLE DEVLIN. No.9 Squadron R.F.C. 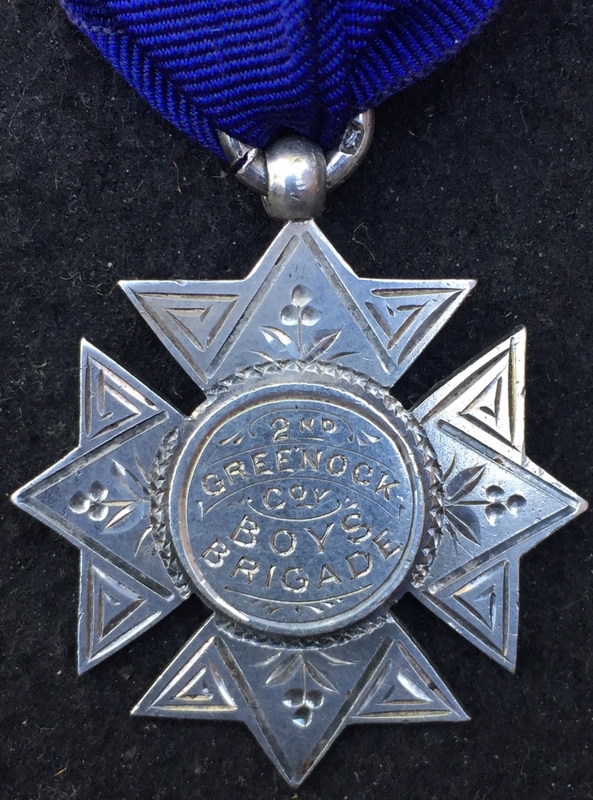 A boyhood member of the Greenock Boy's Brigade (see named silver medal at left) and while comparatively young at the age of 17, Devlin joined the Territorials in his native town as a bugler and was included in the unit shooting team. 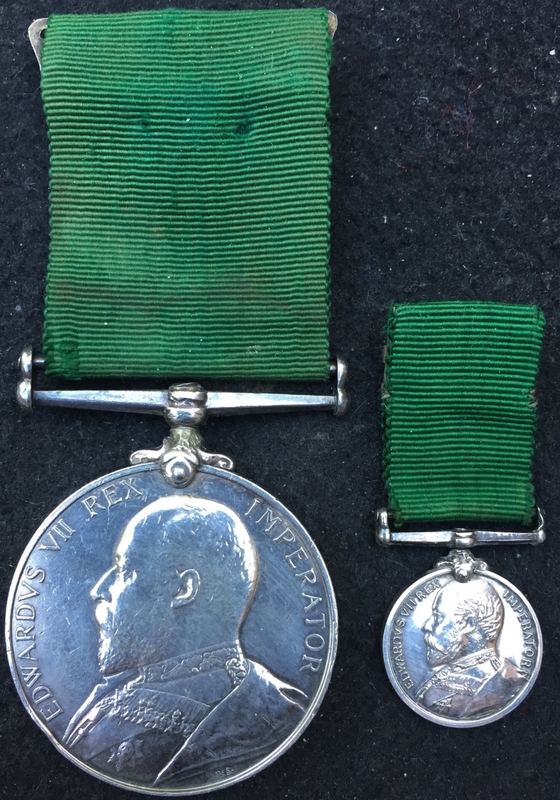 He then left this country and went to British Guiana where he was employed in the analytical branch of their sugar industry. 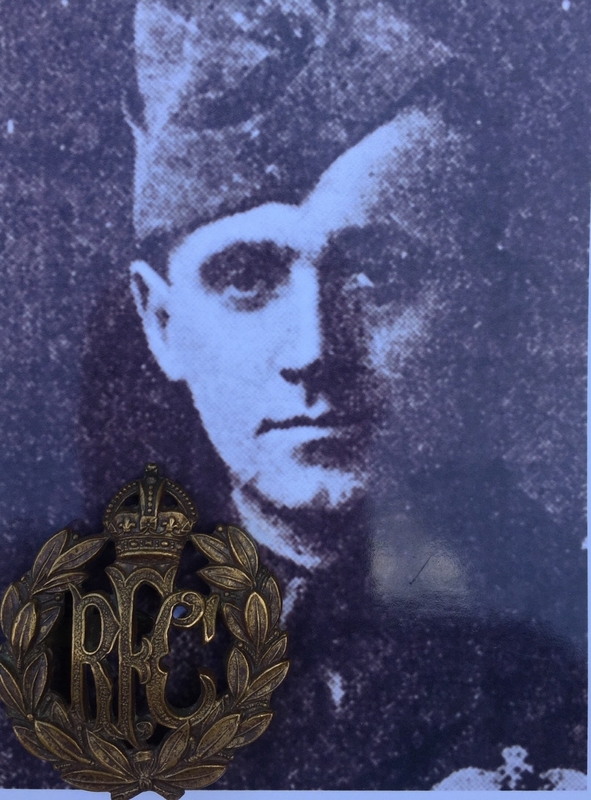 On the outbreak of WWI Mr Devlin was keen to join the colours and linked up with the Argyll & Sutherland Highlanders where he was known as HARRY DEVLIN. 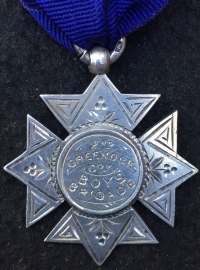 He served in "C" Coy of 1/5th A&SH with whom he did valuable work as a gymnastics instructor. As a young lieutenant he had a reputation as a talented tennis player and was not unfamiliar with boxing. 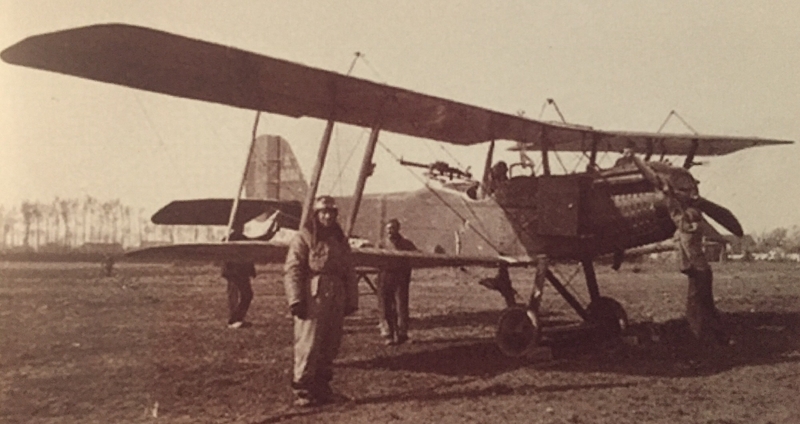 He later secured a commission in the Royal Flying Corp and successfully undertook pilot training. His original and very scarce RFC wings and an officers' cap badge are included in the grouping. Victoria Place, 32 Kelly Street, Greenock. Son of Mr. and Mrs. Wright, of 49, Co-operative St., Derby. The kill was claimed by Erwin Bohme, Jasta 2, at 10.47am 19.9.1917. 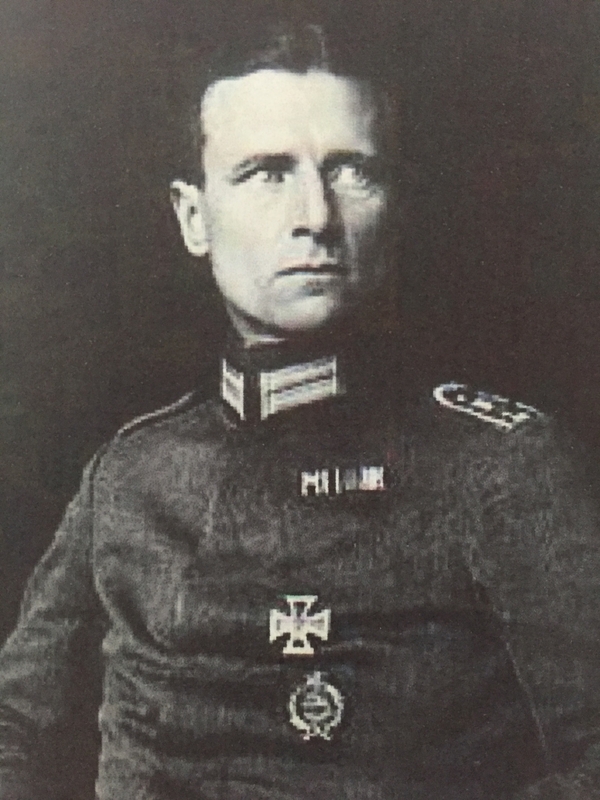 THE 14th VICTIM of FAMOUS GERMAN ACE, ERWIN BOHME, the Commanding Officer of Jasta 2 who while flying an army support sortie in an Albatross on 28th October 1916 famously collided with the aircraft of non other than OSWALD BOELCKE the famous aviator who virtually pioneered the rules and techniques of air fighting. Boelcke who was the mentor and tutor of Baron Manfred Von Richthofen was killed, and it's well known that Richthofen never actually got over the death of his closest friend. 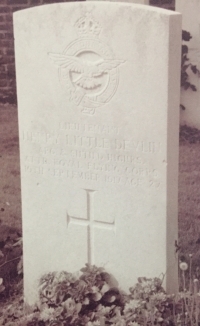 Henry is buried and commemorated with eternal honour at MENDINGHEM MILITARY CEMETERY, Belguim. Grave Reference V. D. 36. An exceptionally important casualty assembly involving a famous German Ace and two of our courageous RFC officers which took place at the very dawn of air fighting over the battlefields of France. £2995 with part exchanges welcome.